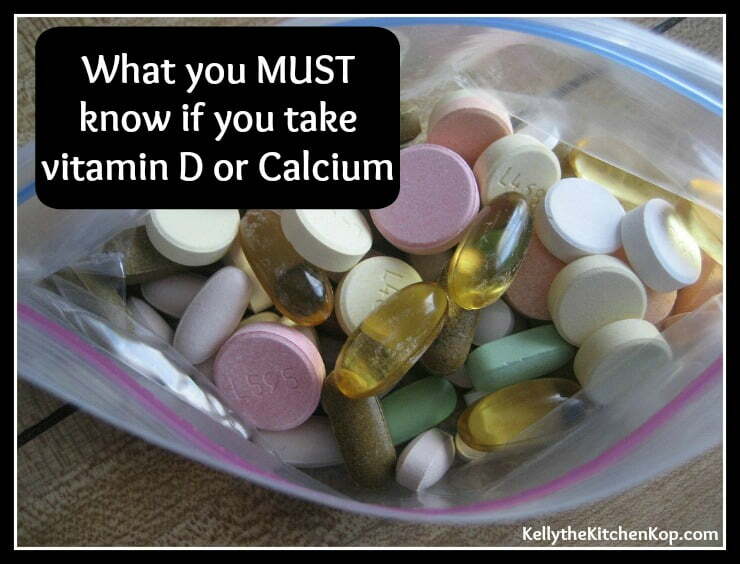 Are You Taking Vitamin D or Calcium? Concerns about wrinkles, your skin tone as you age, excess tartar on your teeth, and menopausal symptoms may not seem important to you, but it's dangerous not to know the following information because it also relates strongly to more serious issues like hardening of the arteries/heart disease, diabetes, dementia, gallstones and kidney stones, dental health, osteoporosis, male fertility, and growing healthy kids. Not to mention your overall health as you age — make sure your parents are aware of this info! AND if you are on blood thinners — you need to know more about all of this too. I know that sounds like a HUGE range of random topics, but it's all related. ***Don't worry, I added a bottom-line one-paragraph version of this post for you below if you don't have time to read all 4600 words here. OR at the bottom of the post is a print button if you'd rather read that way. I really liked her overall, but this surprised me. Also, as you know, I'm not a doctor or anywhere close. Use our own judgment and do your own research after reading below. ***Get a discount on the K2 at that link with the code KOP, and you can get that same discount on this Vitamin D that I take. Vitamin K2 is now known to be the “Activator X” super-nutrient that Weston A. 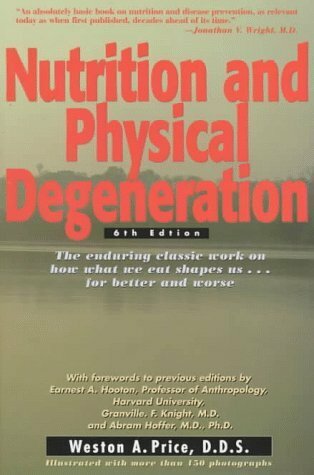 Price found prevalent in foods in the healthiest traditional cultures that he studied, which he wrote about in this book: Nutrition and Physical Degeneration. Call me a geek if you want to, but I loved. this. 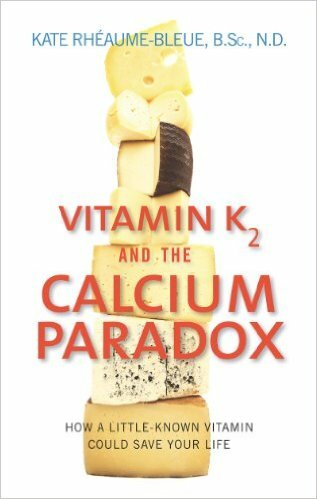 book: Vitamin K2 and the Calcium Paradox: The Little Known Vitamin that can Save Your Life. Don't we all love finding something that causes light bulbs to go off in our brain and everything just clicks?! For many seniors, a hip fracture marks the beginning of a long, complicated decline in health from which there is no recovery, they are a leading cause of disability in this age group. Half of women over the age of 50 will experience a fracture due to diminished bone density. 1 in 8 men over the age of 70 will develop osteoporosis associated with a drop in testosterone that occurs around that age. There are no symptoms in the early stages of osteoporosis, often the first sign is a bone fracture due to little or no trauma. This, in a nutshell, is the Calcium Paradox: a mysterious, concurrent calcium deficiency (in the skeleton) and calcium excess (in the arteries) that underlies two major health concerns of our time: osteoporosis and heart disease. Vitamin K2 is the key to putting calcium back in its place to remedy this calcium conundrum. Most doctors rely on osteoporosis drugs, but one of those drugs actually increases the risk of bone fracture, and another has been linked to rotting of the jaw bone. Coronary artery disease (CHD) refers to a narrowing of the blood vessels that supply blood and oxygen to the heart. This narrowing is caused by atherosclerosis, a buildup of calcium-laden plaque that slowly clogs one or more of the coronary arteries, or any artery in the body. Although the lipid hypothesis, the notion that saturated fat and cholesterol cause heart disease, has been largely debunked in scientific literature, it remains entrenched in popular nutrition dogma. Depending on your current awareness of the causes of heart disease, you will be pleasantly surprised or completely horrified by the list of foods high in heart-healthy K2. Let's just say that the French Paradox–the supposed contradiction between a rich, fatty diet and low heart disease rate–isn't such a paradox after all. The shocking truth is that many of those rich, fatty “sin” foods are abundant in K2, the only vitamin known to prevent and reverse atherosclerosis. It's possible that the soaring popularity of vitamin D might actually be compounding the problem. Under certain circumstances, vitamin D increases arterial calcification. Vitamin D specifically accelerates the accumulation of arterial calcification in vitamin K2-deficient conditions. Certainly vitamin D and calcium supplementation together have been shown to increase bone density better than either one alone. However, once calcium is absorbed into the blood stream, vitamin D has no power over what happens to it, which is a potentially bad thing for heart health. Some calcium might find its way into your bones, but more of it might wind up in your arteries. Vitamin K2 tips the balance in favor of bone and artery health by putting calcium in its place. This book doesn't dethrone vitamin D, in fact, it adds to the growing list of vitamin D benefits by placing it squarely in the “heart-healthy” category–as long as you take it with vitamin K2. In the words of fat-soluble-vitamin expert Chris Masterjohn, “If there is one, single most important shortcoming in the research investigating the toxicity of vitamin D in humans, it is that despite decades of controlled animal experiments showing that each of the fat-soluble vitamins protects against the toxicity of the others, research in humans continues to address the toxicity of vitamin D as if its actions were independent of vitamins A, E and K.” The same can be said of vitamin A. The toxic symptoms of excess vitamin D intake can be summarized with two words: inappropriate calcification. Too much vitamin D leads to excess calcium in the blood and urine, kidney stones (yikes, I don't ever want to go through THAT again! ), soft tissue calcification and softening of bones, called osteomalacia. This sounds like the Calcium Paradox, doesn't it? That's because increasing vitamin D amplifies the body's need for K2. In addition to building bone density, osteocalcin, produced by our bones and teeth, plays some unexpected roles in health. For example, new research shows that osteocalcin acts as a hormone that causes the pancreas to secrete more insulin and increases sensitivity to insulin at the cellular level. Insensitivity to insulin (also called insulin resistance) is at the heart of the epidemic of obesity and type 2 diabetes that now plagues the Western world. This new understanding of osteocalcin confirms that our skeleton is not just inert scaffolding. It is an endocrine gland that plays a role in the prevention of diabetes. More to the point, vitamin K2, essential for osteocalcin to function, is likely a critical nutrient in preventing and treating type 2 diabetes. It was too much to add here, but K2 plays a role in male fertility too, so don't miss that part in the book as well. And there also is much more about vitamin A, D, E and K in the book that I couldn't fit here, FYI. It seems rather suspicious to say, as I have, that almost everyone is deficient in vitamin K2, doesn't it? After all, since a vitamin deficiency depends on dietary intake, its prevalence should vary with in a population of individuals who have varying diets. And in theory it does–unless something happens to the food supply of the entire population that makes it almost impossible to get that nutrient. And that has been the fate of vitamin K2. It was once abundance in our diet, but in our efforts to modernize food production for higher yields from smaller areas, we inadvertently eliminated this critical nutrient from our diet. What is common to farming and hunting–the reason we consume animal-origin foods at all–is that it allows humans to profit, in a nutritional sense, from the sun's energy and the soil's minerals. These elements are captured by photosynthetic plants, then consumed and metabolized by creatures that are capable of doing so efficiently. During this process, animals conveniently transform the nutrients in these plants into forms that are more bioavailable to us humans. 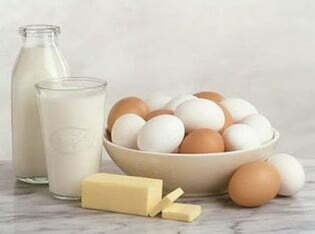 The nutrient content of meat, eggs and dairy products is a direct result of the composition of the animals' diet. In a very real sense then, we are not just what we eat; we are what our animals eat. If we look back as little as 100 years, we would find that the vast majority of livestock did roam freely on green pastures. When animals grazed on pasture, vitamin K2 was abundant in our food supply. Now we consume large quantities of the mass-produced versions of the foods that used to contain vitamin K2, but we are starving for this nutrient they no longer contain. The best way to get vitamin K2 is eating natto, a food made of Japanese fermented soybeans. It smells like old gym socks, and is held together by gobs of stringy mucus and contains enough K2 per serving to prevent hip fracture and heart disease. It's hard to find and even harder to like. What's more, there's finally some good news for vegans here: although in the Western diet, K2 would traditionally have been obtained from animal foods, the introduction of natto does offer one plant-based source of this nutrient. If the label doesn't specify, not even in the fine print, exactly what type of vitamin K is in the supplement, don't buy it. If you can't tell what type of K you are buying, you can't know if the dose is appropriate–don't assume the manufacturer got it right. Vitamin K2 has no known toxicity levels. Vitamin K-1 is the clotting vitamin, the one that's responsible for helping to clot blood, and also the one that you have to be careful about ingesting if you're on Coumadin or Heparin or other blood thinner meds. Vitamin K-1 is also the one that you will find in regular multivitamin supplements. This is not the same as K2. Osteoporosis, senile dementia, certain cancers, diabetes, wrinkles, low energy, brittle nails and hair, changes in skin tone as we age, and even scarier: hardening of the arteries leading to cardiovascular disease, these are all related to low K2. Listen to the full interview below, around the 25 minute mark, if someone you love has issues with their prostate, with liver infections or liver cancer, and about possibly reversing ALS or Parkinson's disease related to K2 deficiencies. K2 plays a huge role in your chances to get diabetes, and in your insulin sensitivity. Natto has huge amounts of K2-7 and is used in Japan to treat senile dementia. In the Western world we just do not get K2 no matter how good your whole foods diet is, and it plays such a huge role in so many parts of our body functions. Athletes and everyone really should also be taking K2 because it increases your cardiac output /heart function in the amount of oxygen that's getting pumped to your body. Minute 17 talks about the study that was done that showed that vitamin K2 cut the number of heart incidents in half in those who took it! And in cultures where they eat natto, like Japan, there are much much less incidences of these diseases. If you take calcium as a menopausal or perimenopausal or postmenopausal woman, it doubles your chances of heart disease if not taking it along with vitamin D and K2! It's difficult to get enough K2 in your diet unless you eat a lot of natto, organ meats, or certain fermented cheeses. Since kids are growing, they have eight times the amount of bone turnover that adults do, so they need K2 even more for stronger bones and to prevent fractures. You only have until you're 25 or 30 to build to your peak bone mass! Which Foods is Vitamin K2 in? Certain cheeses, gouda is a good source, however I'm assuming not many of us eat it every day. The highest natural source is in natto, as mentioned above, but do you know anyone who eats natto? Some K2 is in grassfed butter , pastured egg yolks, ghee, and pastured meats. Note that it's difficult to get enough of the K2 we need from foods nowadays, especially since factory farms became more prevalent and most people are not eating enough (or any) pastured foods! Which Vitamin K2 Should You Take?! 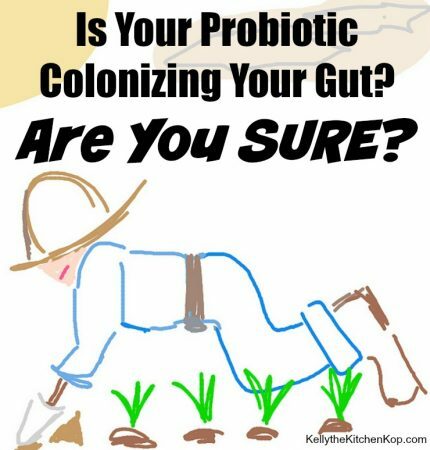 I've told you about my favorite probiotic (read: Is My Probiotic Really Helping or am I Wasting Money? 5 Ways to Know For Sure), and the same company, who is diligent about research before putting them out their products to the public, have developed the best K2 supplement. I asked Kiran Krishnan, the research microbiologist behind it, for a quick and simple explanation of why it's better than anything else out there. Again, just to be clear: remember I'm not a doctor, and you may want to consult a medical professional before going on something new. 1. Natural form: It is produced through fermentation of bacillus sp., and is the same K2 found in natto. 2. You actually get everything you paid for: Without stability, it makes no difference what you take. K2 is very sensitive to light and heat, so it has to be formulated it in a way that can withstand bottling and encapsulating process so it doesn't lose its potency. We sell natural K2-7 as a prescription drug in over a dozen countries (which means higher standards), thus we have done extensive stability work to ensure proper, clinical dosing. Also it has the highest potency and you'll be getting all of it because it has not been damaged by the light & heat. No other supplements in the US have done this. Based on our testing and even testing from organizations like Consumer Labs, the majority of K2 supplements out on the market have virtually no stability. One doctor product we tested claimed to have 50mcg of K2-7 per serving, but 2 months after manufacturing it was less than 9mcg — it degrades quite fast. 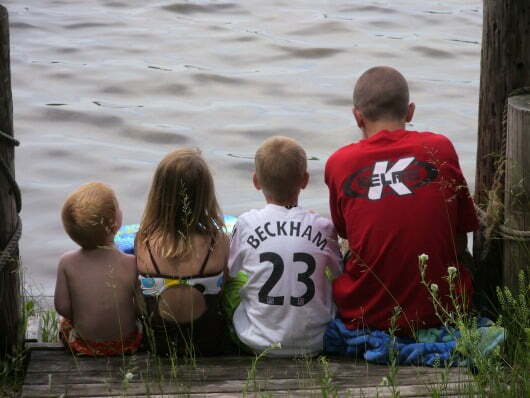 We have proven 2 year stability on our K2. So, it is important to be able to feel confident that you are getting the full dose of K2 when you are taking a supplement. 3. Proper amount of K2 per serving: Outside of stability, we are the only appropriate dose of MK-7 out there. Pharmacokinetic studies indicate that 320 mcg so far is the ideal dose to get the most carboxylation out of K2. We have also shown that our 320mcg dose gives major cardiac output benefits and mitochondrial benefits as well. With all that in mind, there is no reason to be taking a lower dose. 4. The right co-factors are in WITH this K2: Lastly, we have the important co-factors. Without zinc, magnesium and boron, K2 does not function optimally and people tend to be deficient in those co-factors. Thus we have put those in as well to ensure bioavailability and bioaccessibility. If you click here to buy K2, you can get a discount with the code KOP, and if you spend $99 you get free shipping. When others promote MK-4, they typically cite the Japanese drug studies on MK-4 (which is a prescription drug in Japan) and state that because MK-4 has been studied in Japan, it is the ideal supplement. First, there are vast differences between the MK-4 used in supplements and the MK-4 manufactured as a drug and used in the Japanese drug studies. When a compound is produced as a prescription drug, it has to be chirally pure and free of enantiomers. MK-4 has 3-4 chiral centers which means when it is synthesized you end up getting up to 16 different version of the molecule, that is a standard racemic mixture. In supplements, that racemic mixture is not separated to yield a pure enantiomer as that is a very costly process. So what you get is a racemic mixture of 16 different versions of MK-4. Of the 16 versions, only 1 likely does the same job as natural MK-4 from organ mean and animal fat. The other 15 versions either don't do anything, or worse, can cause interference or harm. When the Japanese pharma companies produce it, they have to separate out the 16 enantiomers and process a chirally pure compound, that is standard now in any drug synthesis because enantiomers of compounds have proven to be toxic in many cases. So, if they use synthetic supplement version MK-4, they are taking a big risk in at best having lower efficacy, but at worst having toxicity. Additionally, when a compound is synthetic, the background of the final product is considered to be “contamination” since it's filled with chemical intermediates, solvent residues, etc. Supplement manufacturers of MK-4 do not characterize this background. A MK-4 raw material powder may have a concentration of 10,000ppm or even 100,000ppm, the question becomes, what is the other 90% of the material? Companies are not making 100% pure MK-4, so there is some chemical background. In drug manufacturing you have to isolate each peak in the background and run it through safety and tox to see if any of the background compounds have negative effects since these are just random chemicals. In supplements, they don't do that. So you have no idea what the other 50-90% of the powder you are consuming is. The FDA is also very clear on this that synthetic versions of compounds are not bioequivalent to the natural versions, primarily due to the chirality and the impurities in the synthetic versions. Here is another question to ask, if you are attempting to get MK-4 in a supplement to mimic getting it from nature where you would consume in animals organs or fat, where did the animal get the MK-4? 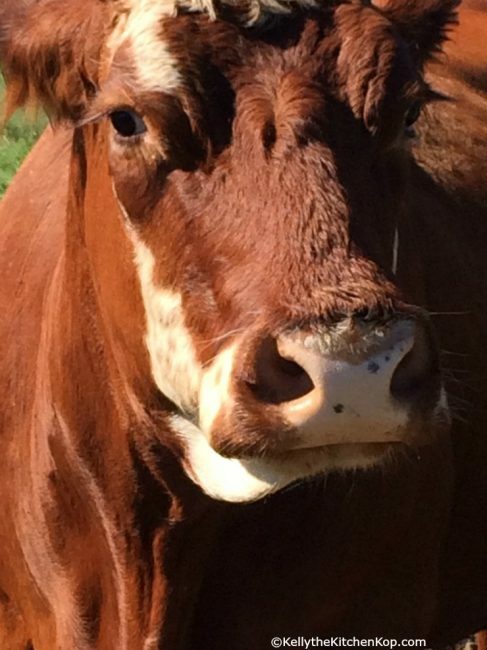 Did a cow eat another cow's organs and fat to get its MK-4? No! The cow consumed carbohydrates that were converted to MK-7 by its intestinal bacteria, which it absorbed and then its own body converted the MK-7 into MK-4 and thus you find Mk-4 in the cows' system. This is the natural way to get MK-4, you consume MK-7 and your body converts it to MK-4. You can get all the MK-4 you want by taking in MK-7 as your body makes the conversion. The benefit of this is that the half life of MK-7 is 72 hours vs. 3-4 hours for MK-4. So its very hard to build up good, stable serum levels of MK in the body by taking MK-4. MK-7 is the long acting, storage form and the body converts what it needs to MK-4 anyway. MK-7 has far better bioavailability as well. Lastly, in our new research on K2 and mitochondria activation, we do not see the same effect with MK-4, MK-7 seems to be the potent mitochondria stimulator. Here is a study by Sato et al comparing MK-4 and MK-7 in terms of bioavailability for building serum level and getting extrahepatic function; they concluded “that MK-4 present in food does not contribute to the vitamin K status as measured by serum vitamin K levels. MK-7, however significantly increases serum MK-7 levels and therefore may be of particular importance for extrahepatic tissues.”: Comparison of menaquinone-4 and menaquinone-7 bioavailability in healthy women. Here is a good paper on chirality in synthetic compounds and the issues. Did you see Chris Masterjohn's recent in-depth article on K2? Surprisingly he didn't cover the best K2 supplement there is, but maybe he didn't know about it. New to eating healthy and need some help? Get my book: Real Food for Rookies! Morley Robbins of The Root Cause Protocol says to NOT TAKE ANY VITAMIN D. If you research the protocol you will see why. Instead he recommends Cod liver oil and an ancestral diet. I agree with him. you need to take d3, not d2 and besides k2 you need to take magnesium alongside AND you need to take the d & k with some kind of healthy fat so that these fat soluble items are absorbed properly/completely. Did you see Joann O’Toole that this K2 has Magnesium right in it? Kelly the Kitchen Kop no, i didn’t see the link selling the product. my point commenting was that the fact that you need the mag with the others isn’t mentioned in the article at all. nor do you mention it in the little blurb at the top of the post. I recently was in a CVS just to get some Vitamin C and was looking at Vitmain D and wanted K2, the store employee of course had no idea and adviced me to talk to the pharmacist, and NEITHER of them knew! I looked at them and told them “your education from Big Pharm is showing and it’s failed you big time, you need to actually educate yourself.” and I walked out. I drove 30 minutes to a local health food store (the employee’s are exceptionally rude and unhelpful, but I had sick kids and was coming down with the flu myself so no time to wait on ordering everything online, since I was very low on C,D k2, and Silver). Thank you, so much. I truly appreciate your time and expertise in this helping me with my thyroid symptoms. If supplementing with D3, you should definitely be supplementing with magnesium as well, in addition to K2. This K2 has Magnesium too @David. I swear that I know more than a whole lot of doctors about supplements and nutrition. 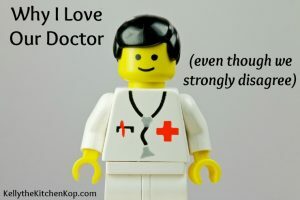 Seems like most doctors are drug pushers. Dont listen to white coats! Doctors are ignorant of new K2 supplement, MK 7. K2 is part Nattonaise from Japan. No heart attacks there! 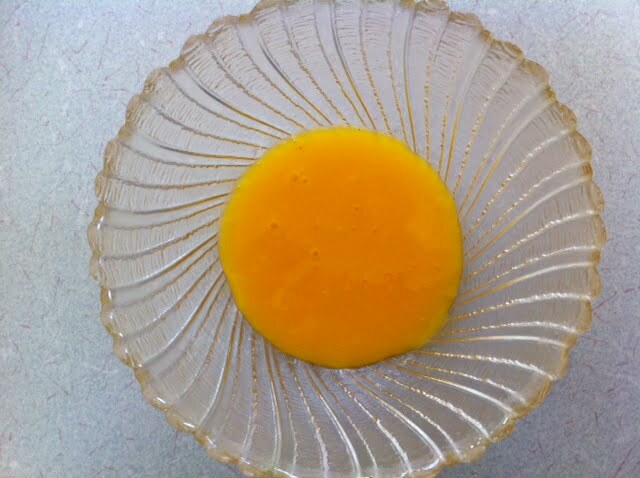 Taken with vitamin D3, it acts like traffic cop to direct CALCIUM to bones, not eyes – cataracts, or arteries. Helps bone loss. HARD BONES, SOFT ARTERIES! Very beneficial..read more about it. Less knee, hip surgeries if used daily. Perhaps the best book out there is Vitamin K2 and the Calcium Paradox: How a Little-Known Vitamin Could Save Your Life by Kate Rheaume-Bleue. Always take it with K2. My husband got a prescription for Vit D alone. Doctors need to be better educated on dangers of taking this vitamin by itself. Gladly my husband listens to me and I encouraged him to read more about it and he ended up agreeing. The info is out there! We are all taking a supplement containing both now. What are your thoughts on taking cod liver oil for Vitamin D and the Natural liver capsules that you presented a link for as supplementing for K2? I take both CLO and vitamin D, because I’m not as consistent as I should be with either. If you take CLO consistently, enough AND the right kind with enough vitamin D, then you may not need the vitamin D. You might get tested to be sure though. Either way you should still take K2, because nobody gets enough K2 these days. Thanks for your response Kelly! I understand why they would want to put it in if that is in fact a component in the process and goal in which they are trying to achieve. My concern is only for people that are new to natural medicine,especially our older folks. It’s a deep concern to me that all information be understood prior to purchasing and taking these supplements. Current pharmaceutical company’s derive their medications from nature itself due to the amazing results they can get. This means that plants, herbs, supplements and the like, can be very effective and therefore very potent. Just looking to protect and educate on this issue because it can be the literal difference between life and death. Take care and thank you again! Hello. I looked into your suggestion of this brand of Thrive K2-7. I was extremely disappointed as it has K1 as phylloquinone at 200 mcg! That is an abundance of a natural clotting vitamin. I may have missed you specifically stating that this supplement included K1 as part of its make-up, if so, I apologize. But if I didn’t I really would recommend that you include it on here, as the companys webpage you send your readers to, does not give you an option to read the label on the back of the bottle. As a nurse and a somewhat young person with a blood disorder, this can be extremely dangerous. I applaud you bringing awareness to your readers, but I also caution you as some people are unaware of what K1 does specifically in our bodies and may in fact put them in great danger. I currently take Garden of Life Organic Plant Calcium that has vegan D3 and MK-7 as Natto, and absolutley NO vitamin K1. This is a brand I trust. All their vitamins are created using organic whole foods. I do not get ANY credit for suggesting the use of this brand! (I wish I did!) Again, thank you for all your research and care. See more on this in the video in the post above. Also, Kristen, I asked Perfect Supplements and they added a picture of the label on the site. Thanks for the nudge! In addition you should never take D3..it actually lowers your magnesium the true bone builder, mood manager, and over all body helper. From what I’ve read, if you’re low in D and are supplementing, besides being on K2, as discussed in this post, you should also be on Magnesium, which is another reason why I like the K2 I recommended since it has magnesium too. I’m surprised you didn’t mention magnesium. I’ve learned a lot from the Magnesium Advocacy Group here on facebook….please consider joining it! Rebekah Mora Magnesium is actually one of the co-factors in the K2 we take! Oh yeah, it’s probably a good idea? What an answer! Yes the medicine needs to get up to speed on many things and K2 is definitely one of them! I have taken the Vitamin D with K2 supplement from Mercola. I will have to check and see if it lines up with this one. I understand that a person should be taking K2 along with vitamin D. But does that mean they have to be swallowed at the same time? Or with the same meal? Or on the same day? What is the correct timing window? @Homeactivist, because this is the MK-7 form of K2, it has a half-life of 72 hours, so the levels can stay up where they need to be overall if you are taking it daily as suggested. Is the supplement nattokanese a source of K2. Jacquelyn, no it’s not, Natokanese is only the enzyme that is found in natto, it is not K2. 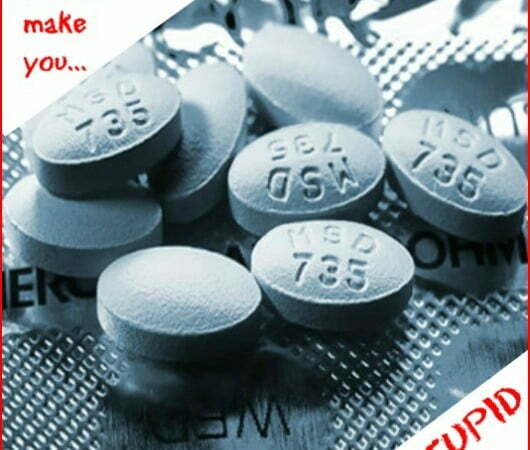 For anyone taking the blood thinner, Coumadin (Warfarin), you should be aware that vitamin K should not be taken as “Researchers suggest that Coumadin inhibits the K2-dependent MGP protein system that keeps calcium out of arterial walls. Thus, vitamin K and Coumadin interaction may actually encourage cardiovascular calcification as an adverse side effect.” People should consult their doctor before taking this supplement. One way I found to get at least some Vitamin K2 was in continuing to eat some dark greens while my Coumadin dosage was being stabilized. Thanks for the good info! Thank you for the good information regarding Vit K…I was wondering …can this brand be opened up to pour it into yogurt to make it easier for children to take or is it a hard pill ?….also not quite sure as to how much children should take …is there a holistic guideline for this ? Yes it can Ellen O’Sullivan- Mazzone ! And there’s no toxicity with K2 so they can take the regular serving size. Thank you, Kelly, for this important article. I had heard that it is important to take K2 when taking Vitamin D. However, every time I hear you mention Japan, I cringe. Fukushima is still not under control, and debris contaminated with radioactivity continues to be a problem. I would not trust anything from Japan, so I hope your vitamin K2 supplement does not contain any ingredients sourced from Japan. Isn’t there any other brands? That always makes me doubtful if there is only one solution and a super expensive one. Ok, so I already have mild osteoporosis and am on vitamin d and calcium citrate. Agree need to add k2 but can’t afford what you recommend. Are any of those listed from amazon any good? Tracie, I’m sorry to say it, but I just don’t think those ones would even hold their potency, or not as well anyway, so they would likely be a waste of money. (See the part in the post about stability.) If you already have mild osteoporosis, even more reason to prioritize K2 and get one that has the right potency and co-factors, etc. Did you see that you can get a discount with the code KOP? Maybe you could take 1/day instead of the recommended 2/day? Thank for the article. Based on the fact that children need more supplantation and drs are unaware, how does one know what is a proper child’s dose? Anon, the same dose for adults is fine for kids, because there is no known toxicity for K2. Very interesting and informative article, Kelly. I have only skimmed it for now, but plan to read it in more depth. I am in ketosis and am guessing this way of eating increases my K2. I hope to be able to have it tested sometime if that is possible. God made our bodies so interconnected that everything overlaps and it leads to endless questions and research for me! Thank you Kelly, for a good explanation about Vitamin D/K supplementation. It is consistent with my personal journey learning about what we need as we age. I have one very BIG caveat, based on my experience. Before supplementing with Vitamin D/K it is essential to have a cheap blood test to determine your blood calcium level. This is part of the normal blood test (CBC-chemistry panel & complete blood count) that most people get with an annual physical or you can order it yourself as I did for about $30.00. If your blood calcium level is in the 10’s it is more likely than not that you have parathyroid disease. There are 4 parathyroid gland that surround your thyroid gland. They otherwise have nothing to do with the thyroid hormone. Parathyroid glands’ only function is to regulate calcium. You need to review your actual lab results, because the lab, as well as your doctor, may consider levels in the 10’s normal (as my MD did). These are not normal levels for an adult (they would be normal for a young person with developing bones). I suffered with parathyroid disease for years and eventually diagnosed myself. My doctor prescribed mega doses of Vitamin D for me after she noted my dangerously low vitamin D levels. I had been taking lots of Vitamin D/K and could not understand how my levels could be low. Fortunately this started my research. The upshot of my research was that my D levels were low due to a complex loop/safety mechanism that our miraculous body has in play. My D levels were low because I had 2 parathyroid tumors. I know now these had affected my health for years. These tumors are almost always non-malignant and I had them removed by an excellent surgeon on an out -patient basis. My health improved within hours of removal. Parathyroid disease is frequently undiagnosed and leads to many seemingly unrelated and serious health issues. It is especially common in post-menopausal women. However, of the two friends I know who have since been diagnosed with this condition; one was a man who only received his diagnosis from Mayo after he had a heart attack (this was after I had warned him to check his blood calcium level). At an extreme everyone should be aware that supplementation with mega doses of Vitamin D with untreated parathyroid disease can lead to a stroke. I had my surgery in Florida by Dr. Norman who has a very informative website which is easily found when googling “parathyroid disease”. I apologize for the length of this post, but it is a necessary addendum to the excellent information you have posted. Thank you for sharing this information Irene!!! Just wondering if either Irene Dunne, Kelly or another knowledgable commenter could advise me on taking Vitamin D 5,000 units and it’s relation to Vitamin K / K2 in the presence of hypothyroidism, particularly – Hashimoto’s? I was diagnosed many years ago as having Hashimoto’s hypothyroidism. 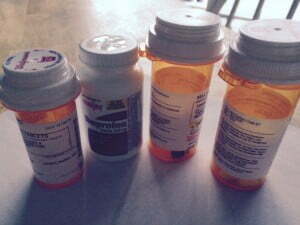 I’ve been on a myriad of thyroid meds, and deal with the associated side effects of hypothyroidism. My “former” endocrinologist prescribed increasing my Vitamin D supplementation to … originally 10,000 units daily because my lab work came back as being severely deficient. He stated that this is very common in thyroid patients. (In fact, he stated that a few of his patients receive injectable Vitamin D because they’re Vitamin D levels are almost non-existent.) This increase in Vitamin D came in conjunction with a trainer insisting I needed to eat “super greens” – in particular, kale – everyday. After doing a little research, I discovered that kale is probably the one food hypothyroid diagnosed patients shouldn’t be consuming regularly. To say that I’m feeling overwhelmed and confused is an understatement. This is the first I’ve heard of Vitamin K2 and I’m wondering if in some small way it might help alleviate the symptoms of Hashi’s or just improve my health in general. Dee, I’m working on this for you and will be getting back to you! Dee, I’ve been asking around and haven’t found anyone who has a specific answer for you, have you searched out a naturopath or functional medicine doc to try and help you piece all of this together? Also, I do know that if you’re taking vitamin D, as I wrote about in this article, taking K2 is very important. Sorry I’m not more help! Hi Kelly, This is so kind of you to take the time to try to help me and it’s greatly appreciated. I am currently a patient of a functional physician, unfortunately I don’t believe I’m getting the necessary treatment and information I should be receiving as her patient. I’ve given her 18 months to help me and prove herself a competent MD, but I feel continually “rushed” through appointments (aside from waiting room time, I’m typically in and out in less that 5 min.) and only once has she examined me … and even that was superficial. Needless to say, I’m in the process of trying to locate another physician, as I lack confidence in her abilities and based on comments she’s made … she’s very money conscience … and freely talks about other patients. All around, I’m just not comfortable as her patient. Wow, Dee, lots of signs that it’s time to move on for sure!!! Hopefully you find someone great soon. What in particular was your question, Dee? I have hashi’s and my dr has me on 20,000iu’s of D3, with K2 and magnesium. I will return to 10,000 very soon, since my numbers are almost where he wants them.